Corned beef and cabbage is one of my families favorite meals. We know it’s popular during St. Patrick’s Day, but the healthy, low-calorie meal is good all year long. I love to cook corn beef and cabbage in the winter months, especially. The smell of it cooking scents the entire house and brings back childhood memories of my dad standing over the stove making his version. 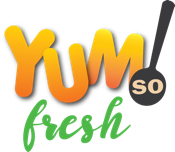 Yum So Fresh teaches people how to eat clean and natural and take old fashioned recipes and bring them into modern times. We are doing it with this recipe as well. Corned beef sitting in the grocery meat section if full of sodium, preservatives, nitrates, sulfates, MSG and tons of other, fake food ingredients. Thank goodness you can now find uncured, natural, grass fed corned beef. You may have to special order them, but stores such as Whole Foods makes them in-house. You can also find recipes online on how to pickle your own briskets. The uncured, natural corned beef tastes different and the texture is not the same, but it’s so much better for you. Using organic cabbage, potatoes, sweet potatoes and carrots makes for a very healthy recipe indeed. Uncured corned beef and cabbage with organic veggies. A paleo version is also included. In a large stock pan place your corned beef, the bag of pickling spice, salt pepper, garlic and 7 cups of water. Bring to a low boil and cook for 2 hours. Skim off any meat residue that comes to the surface. The first veggie you will add is your carrots once the meat has cooked for two hours. Add your carrots in whole and cook for 10 minutes. Next, add your whole potatoes after the 10 minute cooking time for the carrots. The trick here is that you want nicely cooked veggies, with a bit of crunch still in them. If you overcook the carrots and potatoes, they fall apart and do not taste as good, or look as beautiful. If using sweet potatoes put in 15 minutes after you place your carrots, they take less time to cook than regular potatoes. Sweet potatoes can fall apart very easy, so keeping them a bit firm is important. Let potatoes cook 20 minutes with the lid on. After the potatoes cook the 20 minutes, take out the corned beef and place on cutting board. Add your cabbage wedges and cook 15 more minutes. Let your corned beef rest 10 minutes and then cut off any fat and slice thin, going against the grain. If you slice it wrong, the meat is tough. Slice it like you slice brisket. When your cabbage is cooked, but still a lovely green color and a bit crisp, the meal is read. I like to place two carrots, two potatoes, four slices of meat and one cabbage wedge along with some of the broth on a plate. Sprinkle with a bit of black pepper and enjoy!